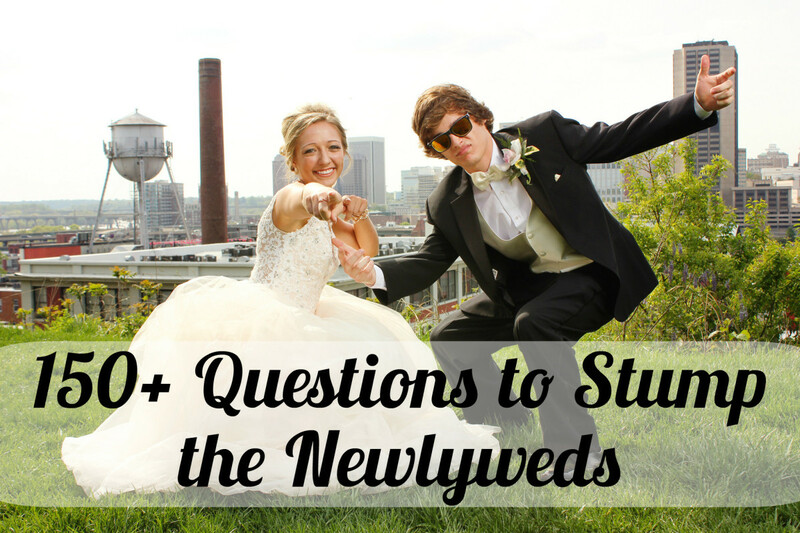 The Newlywed Game is a game that many are familiar with from watching the game show itself! What better way to see just how well you know your new spouse than by playing? Questions can be hard or funny, or a little bit of both, and there are no limits to what can be asked, depending on your game style! Here are some questions to get you started! How well do you know their life before you? Did they have a pet? What subject was likely the weakest subject for your mate in school? What was your weakest subject in school? What did they want to be when they were younger? What was their favorite spot to vacation as a child? Where was the first place that your spouse drove when they got their driver's license? What was your spouse's favorite band in high school? 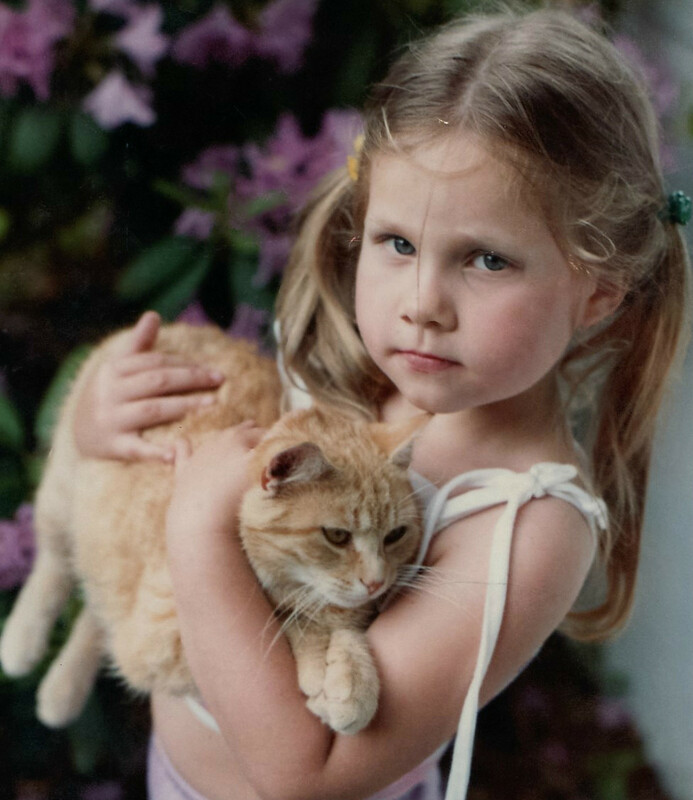 What was your spouse's first pet? How old was your spouse when they had their first kiss? 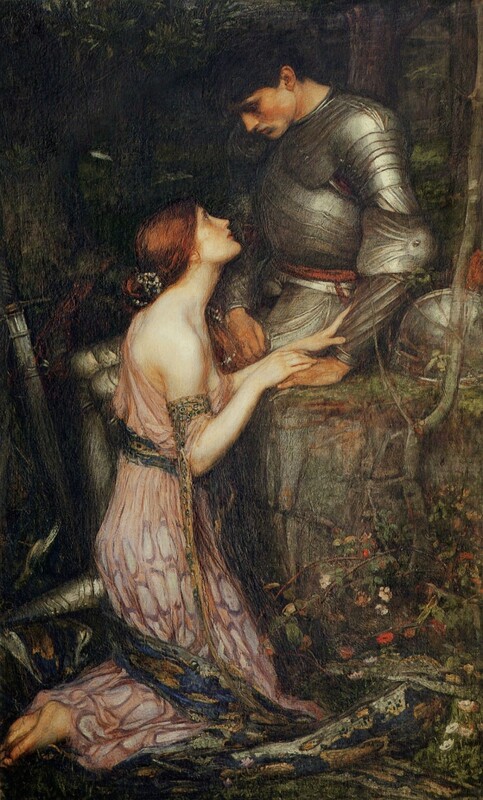 Who was your spouse's first crush? What was the name of your spouse's high school? Name three of your spouse's high school friends. Name three of your spouse's college friends. What was your spouse's favorite class in college? 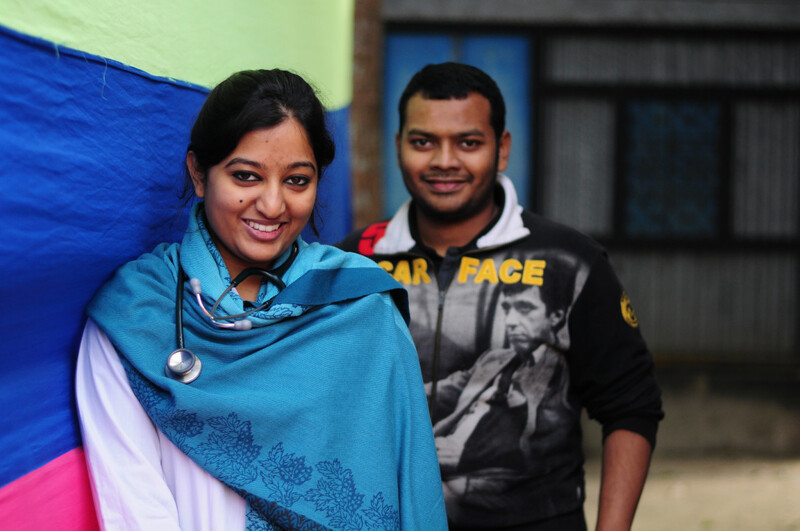 What was your spouse's minor in college? Name the street where your spouse grew up. Where are your spouses' parents from (city, state, and country)? Which of your spouse's family members is the most annoying? Who is the black sheep of your spouse's family? Which of your spouse's friends is the most attractive? Who was your spouse's hero when they were growing up? What was the thing your spouse did in college? Who was the first person to have a crush on your spouse? What was their first favorite movie? What is your spouse's earliest memory? Can you name all of the places your spouse has lived? How are you as a couple? We are complete opposites when it comes to _______. One thing we will never, ever agree on is _______. If your groom/bride could be compared to a cereal, what would it be: Fruit Loops, Lucky Charms, Special K, Cheerios, or Cocoa Puffs? Who really wears the pants in the relationship? What was the last thing you two argued about? Who spends more time tending to things around the house? When my spouse sends me to the doghouse, where might that be? What is a sure-fire way to get on their nerves? Out of the two of you, who is more decisive? What do you finish more of: each other's sandwiches, sentences, or last nerves? On a scale of 1 to 10, how would you rate the very first meal your mate ever cooked for you? What is the first thing your spouse does in the morning? Who cooks better, you or your spouse? Would you describe your spouse's interior decorating style as: Burberry, JCPenny, Wal-Mart, or Cave-Dweller? What is your spouse’s favorite thing to cook? I really wish my spouse would _________ at home. How would you describe your spouse on your first date? What is your first memory of your spouse? When did you know your spouse was the one? What's something they've completely changed their mind on since you've been together? What was your spouse wearing the first time you met them? What was the moment where you thought, "Maybe this isn't going to work?" What was the first thing your spouse said after the proposal? What was the first thing your parents said after they found out? What adjective would your spouse use to describe you on your wedding day? What was their favorite part of the wedding? What was their least favorite part of the wedding? Who gave the best speech at the wedding? What was the first gift your spouse got you? What was the first gift your spouse got you that you liked? What was the first trip you two took together? What was your first fight and what was it about? When did you first say "I love you?" What's the most romantic thing your spouse has ever done for you? When did you start dating? How Well Do You Really Know Them? If they had to take one thing to a deserted island, what would they take? Which would they choose: the power of flight, or the power of time-travel? If they could spend $500 on anything, how would they spend it? If they could pick up and go anywhere in the world right now, where would they go? Would your spouse rather be an astronaut, a sailor, or a back-up singer? What do they talk about the most? What is something they do constantly that they aren't aware of? If they could be any kind of instrument, what would they be? One thing my spouse would never do is ________. What is something your spouse would never admit about themselves? What is their signature dance move? What is their favorite drink? What kind of candy would your spouse want to be in a piñata? What adjective would your spouse use to describe themselves? If your spouse could wear one outfit for the rest of their life, what would it be? Who is your spouse's celebrity crush? If your spouse had to eat one food for the rest of their life, what would it be? What is your spouse's favorite emoji? What is your spouse's favorite color? What is your spouse's favorite junk food? 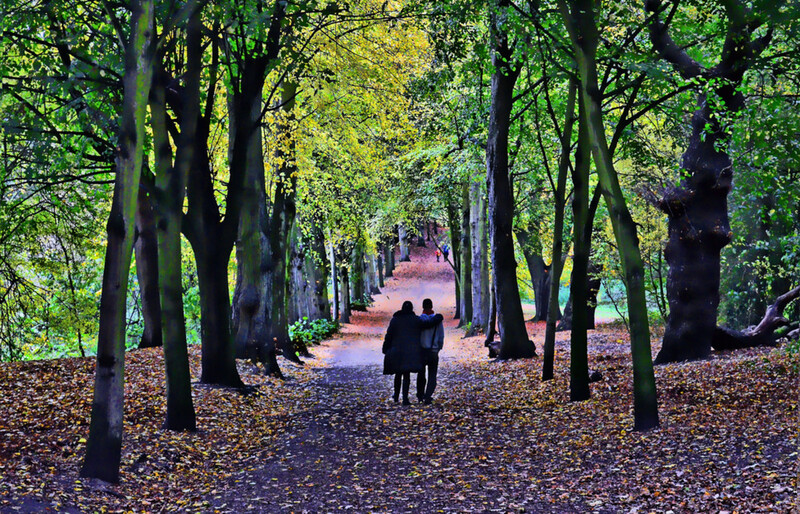 What is your spouse's favorite season? Their favorite type of cuisine? Their favorite activity to do together? What's your spouse's favorite joke to tell? What's a story your spouse tells to every new group of friends? What story does your spouse's family tell about them over and over again? Does your spouse have a catch phrase? What is it? How would your spouse spend the ideal vacation? Who of their friends is your spouse most similar to? How Well Do They Know You? If you could treat your spouse to anything, what would it be? If you could change one thing about the clothes your spouse wears, what would it be? What was the most recent gift that you got from your spouse? What adjective would your spouse use to describe you? Which is most like your spouse: a unicycle, a bicycle, a tandem bicycle, or a tricycle? What emoji best represents your spouse? Your spouse has $50 to spend for you. What do they buy? What word would your spouse use to describe your family? If you and your spouse had five hours to spend together doing anything you want, how would you spend it? What is one thing that your other half nags about the most? What is your lover’s biggest shopping addiction? What is one thing of yours that your spouse is just dying to get rid of? What is one thing of your spouse’s that you'd love to get rid of? What is your spouse’s guilty pleasure? What’s your spouse’s worst habit? What is your mate's biggest fear? What is your mate's biggest pet peeve? What is their most annoying habit? What would your spouse say are their best personality characteristics? What would your spouse say are their worst personality characteristics? What would your spouse say are your worst and best personality characteristics? What is the biggest way that your spouse wastes money? Who spends the most money on personal items? If your spouse could change anything about themselves, what would it be? Is your spouse a pessimist, an optimist, or a realist? If your spouse had to choose an actor to play themselves in a movie, who would they choose? What's something that makes your spouse cry? 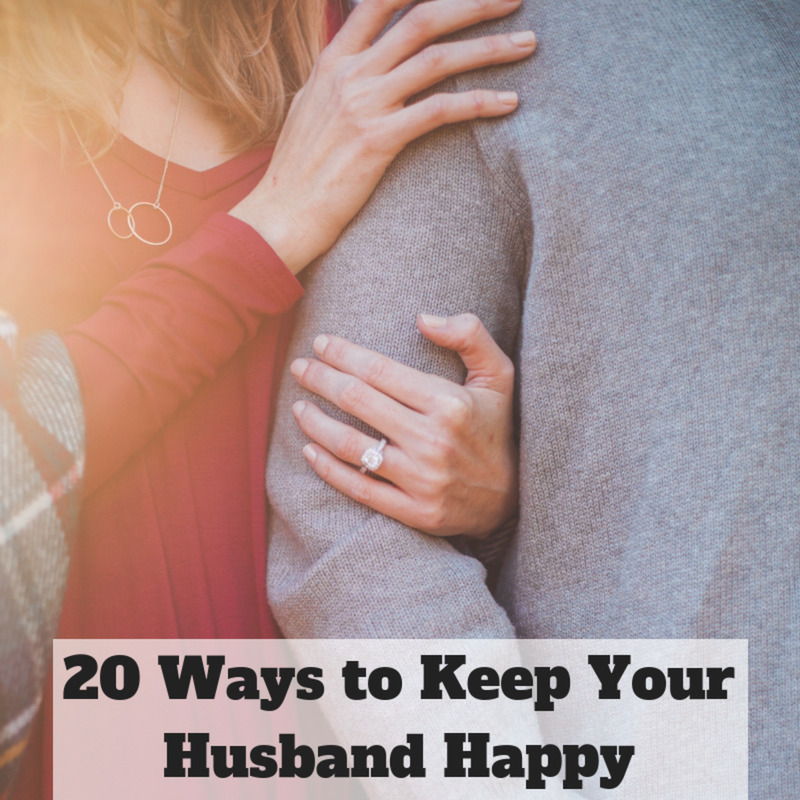 What's something that always makes your spouse laugh? What is your spouse most proud about? Does your spouse keep a diary or journal? Who is your spouse's hero? If your spouse had 5 extra hours to spend, what would they do? What does your spouse want to be doing career-wise 5 years from now? Is your spouse more like their mom or their dad? What is your favorite body part on your mate? How would you describe your time between the sheets: Fast and furious, broken down, or slow and steady wins the race? If your first kiss could be described as a candy, what would it be: Starburst, Milky Way, Snickers, Zero, or Goobers? Going in for a hug, where do your hands normally go first? If their kissing style was a kind of car, would it be: a Jeep, a Tesla, a Volvo, or a Model-T Ford? What’s their favorite position in bed? What song would best describe your spouse in the bedroom? What turns you on the most about your spouse? Is your mate a side, stomach, or back sleeper? What's your mate's tell that they're in the mood? Would your spouse rather be freezing or hot? Would they rather have dinner or dessert? Can they hold a tune? If your spouse were a tree, would they be a willow, a redwood, or an aspen? Would your spouse ever go skinny dipping? It's brunch. What is your spouse ordering? Does your spouse consider a hotdog a sandwich? What is your spouse's favorite sandwich? I would never come between my spouse and _________. If they had to buy a pet fish or a pet hamster, which one would they choose? In the game, you score points based on which questions you guessed correctly as to how your spouse would answer them. 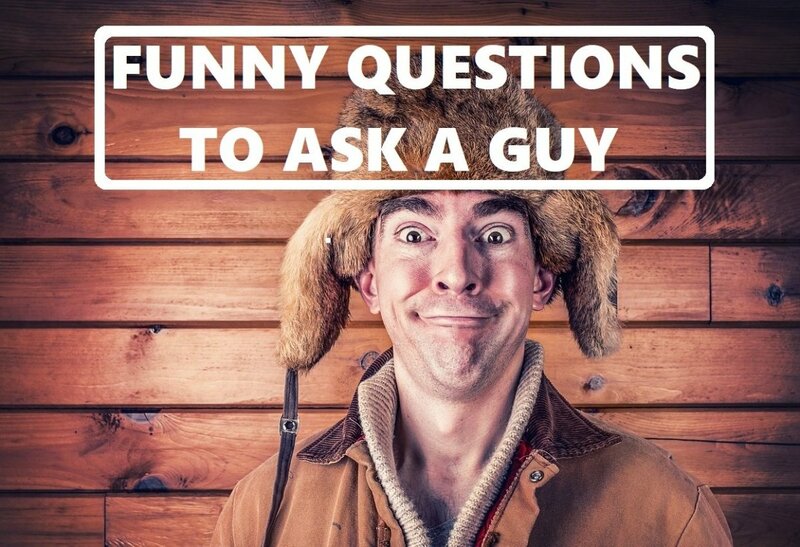 In other words, the only right answers are what your spouse answered, and you’re supposed to know just how he or she would answer any question thrown at them, right? Right! What matters most is that you make the game fun for anyone playing! Wrong answers can certainly stir up a bit of tension, so if you feel like there’s some tension brewing, have a backup plan for a break to get the couples back on track and laughing together again! Oh, and never forget the kiss for correct answers! Now you don’t have to be on the show in order to play the game, which means questions can really be risque! You can play it one of two ways: Just like how the show is played, with both members of each couple present which would be perfect for co-ed parties, or with just one of the lovebirds present at a bridal shower, bachelorette party, or even a bachelor party! Ask the questions and record the answers of the other member of the relationship ahead of time. Keep their answers in a safe place as you will need to reference them during the game! Make sure the contestant is not present while you are asking them these questions, because they will then know what you are up to and have a chance to study up! During the game, while you are asking the player the questions, always follow up with the correct answer or let them know they are correct. Many game hosts will choose to either reward correct answers or punish incorrect answers. Common rewards include Hershey’s kisses, lip-shaped stickers, or candy conversation hearts. A common punishment, which is my favorite and was bestowed upon me personally at my bridal shower, is a piece of Double Bubble for each wrong answer, which all has to remain in the player’s mouth until the very end of the game! The questions are up to the host of the game! They make the rules since they are putting it all together, so hopefully you have a host who will show some mercy in his or her question choices! Oh, and hopefully nothing about your mate changes at the last second, such as their favorite movie (I’m still salty about that one from my shower)! Score doesn't matter if it’s just one person in the hot seat but if you plan on playing the real-style game at a party, then scoring certainly matters! The men are not present in order for the women to give their answers. The women are not present in order for the men to give their answers. In the first round, the men are brought back to the playing area to give their answers to three questions that were asked, and are awarded 5 points for each correct answer. In the next round, there are still three questions, but the point values are 10 each for the first two and 20 points for a “bonus” question. The women are brought back and must do their best to answer correctly! The highest scoring couple wins! How would you describe your wedding night? 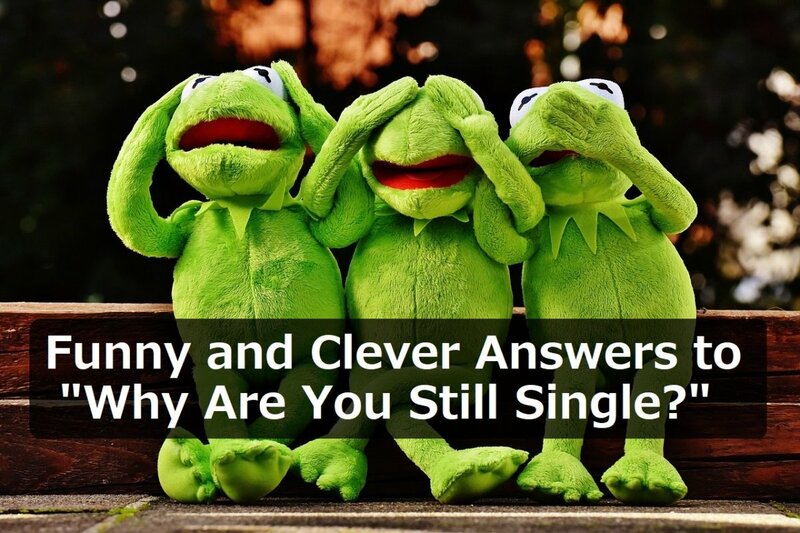 100+ Funny and Clever Answers to "Why Are You Still Single?" 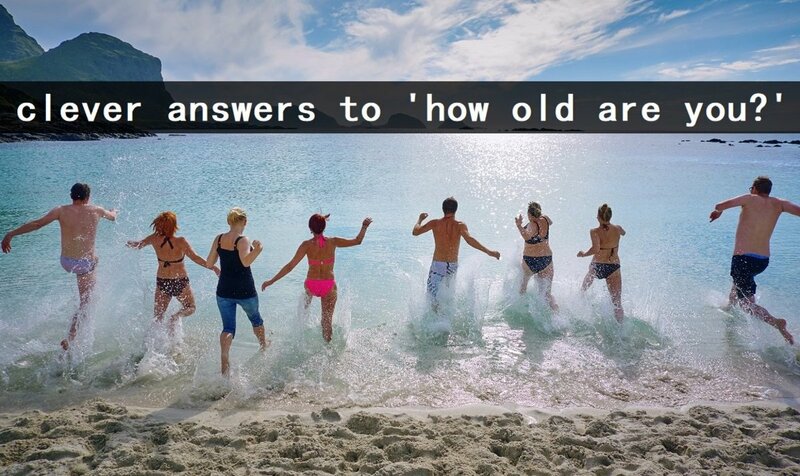 150+ Funny and Sarcastic Answers to "How Old Are You?" 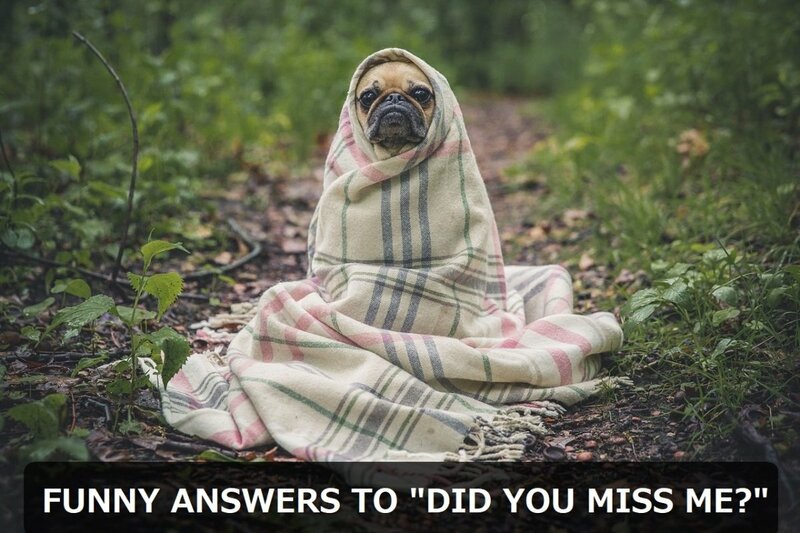 100+ Funny and Witty Answers to "Did You Miss Me?" 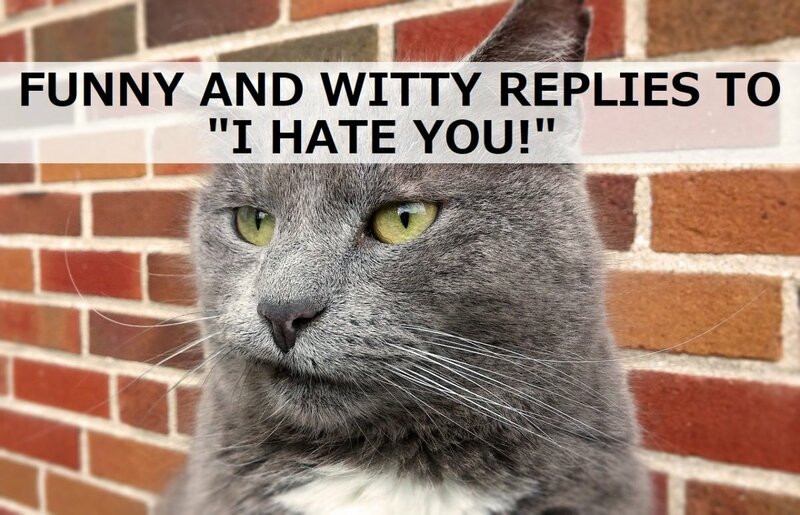 100+ Funny and Witty Replies to "I Hate You!" I remember the newlywed game. You gave good instructions for it and the questions you choose are really fun. Thanks for the fond memory.